In our group we are working in all aspects of quantum technologies, from the basic science behind them, all the way to co-developing quantum simulator devices with world leading experimental groups. We work with all quantum platforms and more recently focus in superconducting quantum circuits, room temperature light-matter systems and integrated photonic chips. We have recently edited two books, two special issues and written a review in our work. . Examples of our work include the quantum simulation of exotic phenomena thought to exist only in strongly interacting electronic systems with interactig photons: Mott transitions, spin-charge separation, interacting relativistic theories and many-body localization (the latter with the Google group). In addition to the "many-body stuff", we are also interested in the "few body" quantum effects found in nano-structures systems interfaced with light, topological physics, and quantum systems in general. For further information on possible short (internships), or long term positions in our group at PhD or Postdoc level, or if you just want to talk to us, please email the group leader. 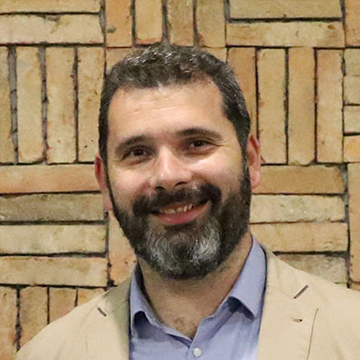 Dimitris G. Angelakis joined CQT in 2009 as a Principal Investigator after being a regular visitor and collaborator of the quantum group since 2003. He was born and raised in a small farm in Chania, Crete, Greece, where his childhood curiosity for the wonders of nature led him to study physics in the University of Crete in Heraklion. In 1998 he was offered a PhD position in quantum optics to work with Sir Peter Knight FRS at Imperial College London supported by the Greek State Scholarship Foundation. His PhD work in quantum light-matter interactions received the Valerie Myerscough prize in 2000, and also the Institute of Physics UK prize in 2002. In 2001 and at age 25 he was elected college research Fellow at University of Cambridge (St Catharine's JRF) and worked in the Department of Applied Mathematics and Theoretical Physics until 2007. A year after his move to Cambridge, the Centre for Quantum Computation in Cambridge was initiated by Artur Ekert, where he joined to work in implementations of quantum simulation and computation. In 2008 he took over a faculty appointment at his hometown Technical University of Crete, where he in now a tenured associate professor of Quantum Physics at the School of Electrical and Computer Engineering (part time since 2012). He is known among others for his pioneering work in quantum simulators using light-matter systems. He received the Google Quantum Innovation Prize in 2018.